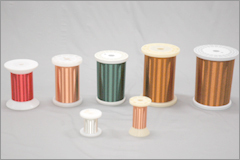 For 60 years our company has been evaluating and researching magnetic wire technology. We deliver superb quality, competitive pricing and the highest technology for all our wire products. We have a patent for insulated wire, which offers a clear advantage to all electric devices. ©2004-2006 kasahara group. All rights reserved.